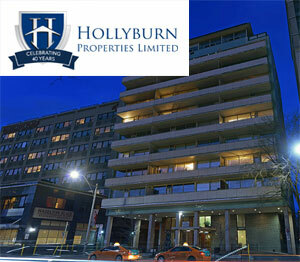 Hollyburn Properties Ltd. is celebrating 40 years of operations, and its anniversary was made a little happier last week with the $42.5-million acquisition of the 10-storey, 125-unit Avenue Park Apartments at 103 Avenue Rd. in Toronto. Privately held and Canadian-owned Hollyburn was founded at the foot of Hollyburn Mountain in West Vancouver in 1975 and has grown steadily over the years while moving east into Calgary, Toronto and Ottawa. The property management and investment company has doubled in size to more than 5,000 units in 75 properties since 2008. “Buying or building high-quality rental product in the most sought after and dynamic locations in Canada” is how Sander describes his company’s investment strategy, which places an emphasis on stable and steady returns. “The low interest rate environment, combined with increasing customer demand for the product, in conjunction with more capital looking for safety in commercial real estate in Canada, have allowed for the beginnings of what could be a new wave of purpose-built rental product being brought to market,” said Sander. This environment has prompted Hollyburn to launch its first new construction rental building that will stand on the corner of 13th Street and Chesterfield Avenue in North Vancouver’s Central Lonsdale precinct. Hollyburn’s hometown of Vancouver remains its biggest market with 49 properties in the West End, West Side and North Shore districts. It owns 17 apartments in midtown and downtown Toronto along with one in the west end of the city. There are six downtown Calgary buildings and two complexes in downtown Ottawa. The plan is to remain focused on and grow in those four markets for the time being. “The renovation of existing rental apartment buildings is the foundation of Hollyburn’s sustainability model,” according to Sander, who said such projects include replacing outdated and oversized boilers with high-efficiency modulating boilers and frequency drives for water pump circulation, as well as new elevator equipment, roof replacements and insulation. Ten-kilowatt solar energy panels were installed on the roof of a Hollyburn-owned apartment at 1286 Islington Ave. in Toronto in 2012 under the Ontario Power Authority’s Feed-In-Tariff program. Hollyburn became the first company in Canada to successfully obtain the Canadian Mortgage and Housing Corporation’s energy efficiency rebate in August 2013 and the company has been reimbursed more than $37,000 for its actions in reducing energy consumption. Hollyburn has value-added corporate partnerships with companies including Aspen Clean, CostCo, FrogBox and Maple Leaf Self Storage, which provide discounts to tenants. Sander said it also promotes special events, seasonal decorations, food and clothing drives to provide opportunities for apartment occupants and employees to get to know each other better and create a sense of “neighbourliness.” The company has live-in managers at all of its buildings to provide service and support. Hollyburn also commits to actively participating in the communities it operates in. It donated land and money for the North Vancouver Public Library and has partnerships in Vancouver with King George Secondary School, Gordon Neighbourhood House, RainCity Housing, The Next Big Thing and Boy Scouts of Canada involving a variety of programs to help youth and the disadvantaged.